Located in Bolton, Last Drop Village Hotel and Spa is in the suburbs, within a 15-minute drive of Turton Tower and Hall i’th’ Wood Museum. Featured amenities include express check-in, express check-out, and dry cleaning/laundry services. Event facilities at this hotel consist of a conference center and meeting rooms. Free self parking is available onsite. With a stay at The Cliff House Hotel in New Milton, you'll be within a 10-minute drive of Highcliffe Castle and Sammy Miller Museum. Free self parking is available onsite. Located in Crawley, Robin House is a 2-minute drive from Manor Royal Business Park and 7 minutes from Crawley Town Hall. With a stay at Hotel Express in Gateshead, you'll be within a 10-minute drive of Tyne Bridge and St. James' Park. Free self parking is available onsite. Located in London (Paddington), Assaha Hyde Park Apartments is within a 15-minute walk of Kensington Gardens and Hyde Park. The front desk is staffed during limited hours. 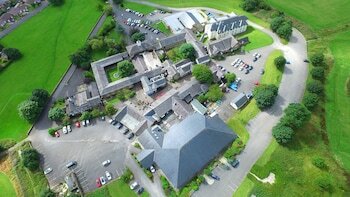 Located in Ulverston, Kings Arms is a 1-minute drive from Laurel and Hardy Museum and 9 minutes from Conishead Priory. Free self parking is available onsite. Located in Sittingbourne, Palace Farm Hostel & Campsite is in a rural location, within a 15-minute drive of Faversham Stone Chapel and Kent Science Park. Free self parking is available onsite. With a stay at Ravenous Beastie in South Queensferry, you'll be within a 15-minute drive of Royal Highland Centre and Forth Road Bridge.